Our artist's concept of what the iPhone Xs Plus might look like. And this won't even be the largest of the 2018 iPhone models. All of the 2018 iPhone models will have Face ID, according to an industry analyst. This helps confirm earlier reports that Apple is phasing out its Touch ID fingerprint-scanning system in favor of the facial-recognition system that debuted in the iPhone X. The analyst also indicated that two of the three models coming this fall will have OLED displays. There will be one medium-size and two bigger iPhones, both larger than any before. The details on Apple’s plans come from Amit Daryanani at RBC Capital, who says in a note to investors obtained by Smarter Analyst that the information came from sources in Apple’s Asian parts suppliers. 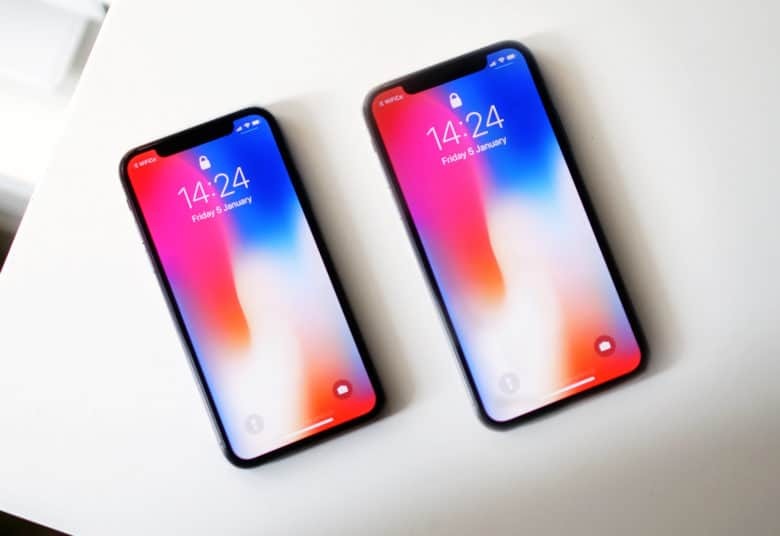 A previous report agreed with Mr. Daryanani that a trio of iPhone are coming this year with Face ID. An iPad Pro with Face ID is also rumored. To prepare for this, the company is starting production of the necessary 3D facial sensors this quarter, earlier than might be expected. “We continue to anticipate 3 different iPhones being launched – 6.1″ LCD Model and two OLED models (Xs and XsPlus – hopefully with better names),” Mr. Daryanani wrote in his note this morning. If he’s correct, this will be larger than any previous iPhone display. But Apple won’t stop there. Earlier rumors indicated that the device some are calling the iPhone Xs Plus will have a 6.5-inch screen. This doesn’t mean the 2018 iPhone models will have enormous chassis. The advantage of Face ID is that it removes the need for a fingerprint scanner. That allows the screen to cover almost the entire front of the device, without the large bezel necessary before. The iPhone X has a screen bigger than the iPhone 8 Plus, but its body isn’t much bulkier than the standard iPhone 8. The screen in the 2018 replacement for the iPhone X will supposedly be the same size as its predecessor: 5.8-inches. It will be Apple’s smallest new offering. For comparison, the iPhone 8 Plus has a 5.5-inch display, and the iPhone 8 includes a 4.7-inch one. The iPhone X met with pushback from many buyers because of its $999 price tag. An earlier report indicated that Apple is pressing its supppliers to keep costs down, enabling it to charge less for most of the 2018 iPhone models. The second generation iPhone X will supposedly cost $899. The iPhone Xs Plus will cost $999. The 6.1-inch iPhone will allegedly cost somewhere between $649 and $749. This price could be why RBC’s Daryanani thinks Apple will sell as many of this model as the other two combined. iPhone buyers have been more price-conscious recently.